For children and teenagers, the death of a parent, sibling or other loved one is an experience that will change their lives forever. Dealing with grief can make a child’s life seem out of control — they may be bombarded with emotions that they don’t have the life experience or the necessary coping skills to handle. Initially, for many children, it may seem as if nothing will ever feel right again. It has been said that children generally grieve in “spurts,” with a wide range of emotions and reactions. One minute they may be playing, then suddenly begin to cry, and then return to happy, “normal” behavior. Children don’t sustain grief in the same way as adults; children grieve and then often move away from the pain. That’s because most children can only endure these intense feelings of grief for a short period of time. Because they do not “show” their grief like adults, those around these children may assume that they’re not grieving and don’t need support. Sometimes the adults who are close to children assume that they simply do not understand, but that’s not usually the case. Many times children seem to be coping very well with a death, but then exhibit behavioral changes a few months later. It’s possible that it takes a child longer to realize the meaning and impact of death, or they wait to express their grief until their environment seems more stable and safe. When a family member dies, it affects the way the family functions as a whole. All the relationships within the family may shift. Because of this, children may not only mourn the person who died, but also the change in the family environment and the changed roles family members may play. Such profound change won’t only affect them in the immediate future, but in the years ahead. A critical factor in how much or to what extent children are affected by loss is the support these children receive from their community: parents, siblings, extended family and friends. It is important for children to be given the opportunity to experience and express their feelings of grief, such as sadness, anger, relief, confusion, etc. They need support and encouragement to understand what happened, identify their feelings, and embrace their loved one’s memory. HealGrief provides information about ways to help a child understand death, as well as the signs of grief in a child. As an adult or parent helping a child deal with the grieving process, familiarizing yourself with children’s common reactions and needs can help you support that child. Talk to children about death in simple but matter-of-fact terms. Normalize death (“it happens to everyone and every living thing, but usually when we are very old”) and be clear about what it means. Use truthful words like “dead, dying, died” and “buried, cremated.” “When someone dies, it means that their body stopped working.” It may seem nicer to make death sound less final, but that can be confusing for a child. Keep your answers brief but clear. Be honest about what’s happened and encourage questions. Show your emotions — being authentic and honest provides a meaningful model for your child. Show patience, reassurance and calm support as often as you can. A return to their everyday routines will help children feel some normalcy. It will also help to ease some of their fear around death, even while they begin to understand its permanence. Children share many of the common symptoms of grief that adults experience, but there are some subtle differences that need to be acknowledged. Fear: The most basic feelings of loss for a child are fear and uncertainty: What happened? Who will die next? How will we live now? Will my parent(s) ever be happy again? Will my other parent die? How often does death occur? Who will take care of me? Where will I go if I die? Why did this happen to me? And, especially, Will I die? Some children may withdraw and become very quiet, frozen in fear. Children and teens of all ages must work through their fearful feelings until they come to their own understanding. This may be stressful for both parents and children (e.g., nightmares, physical symptoms, regression). If children receive sufficient attention and nurturing during this fearful time, they will eventually recover a sense of the basic dependability of life. Listen to a child’s fears and validate that they are experiencing very difficult feelings. Regression: Some children act younger or regress. They want the reassurance or the care and attention that they received when they were younger. Overachieving: Some children become overachievers in an attempt to contradict their own feelings of helplessness. They may do everything “right,” even to the extent of parenting their parents. Displays of power: Some children exhibit exaggerated displays of power to counteract their fears, and these may take the form of bad behavior, acting out, anger or belligerence. Guilt: There are many kinds of guilt about a death. It’s common for children to feel guilt over what they might have done to cause, or might not have done to prevent, a death. This type of guilt can ease the fear that children may feel when someone dies. Taking unrealistic responsibility for a death gives children a false reassurance that they can prevent unwanted events if only they try harder. All children attempt to make sense out of what is happening in their environment, sometimes filling in the gaps with their own imagined explanations. Remind your child of the facts of the situation: “It’s not your fault. The other car was coming toward us too fast, and that is why it hit us and killed Daddy.”As they develop, children begin to comprehend that tragic events happen in life and they are not responsible for them. Anger: Different kinds of anger can be expressed during grieving. There may be unresolved issues between a child and the person who died, which can leave the child feeling angry. They may be angry about the injustice of their loss. Anger can also be an antidote to fear, manifesting in an outward display of personal power. A child may communicate through anger and may become rebellious or resistant to counteract the vulnerability of feeling fear and sorrow. 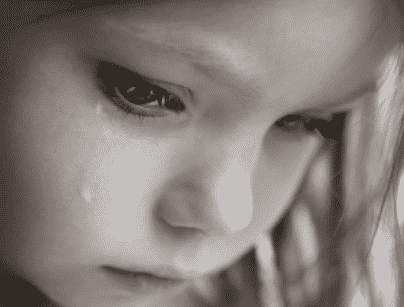 Sorrow: When a child feels sorrow, he or she may be ready to accept the truth of their loss. Sorrow can be an expression of a child’s feelings of vulnerability as they continue to live without the person who died. The child may grieve a loss of security. Loving arms around a child or teen who cries with sorrow can offer safety and acceptance in a world that includes the death of those we love. Developmental differences can affect grieving. Depending on a child’s age, their reaction to grief and how the process it will be different. To understand what a child may be experiencing, please read about developmental differences, from infancy through teens.